Daniela Gregis is the result of loving devotion to the creation and craftsmanship of clothing. The outcome is a freeing and comfortably artful style. This season comes with hints of the beauty of gardens and spring. 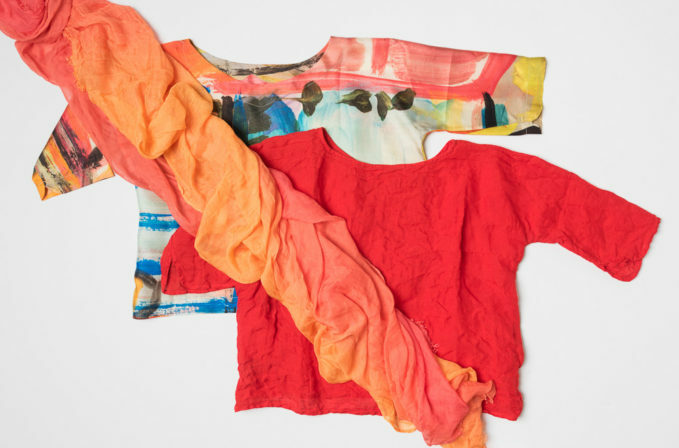 Either the Daniela Gregis printed silk top with pattern in free paint strokes or a vibrant red linen top goes with a Faliero Sarti ombre orange scarf.